I do not consider myself an Elvis fan. But that might be changing. Just recently, Elvis has popped up in a number of unexpected places: as background music in a French restaurant and as a music request from Edison Pena, one of the trapped (now free, yey!) Chilean miners. Let’s just take a moment to admire the name of Edison Pena. I wonder if he has a brother called Tesla? 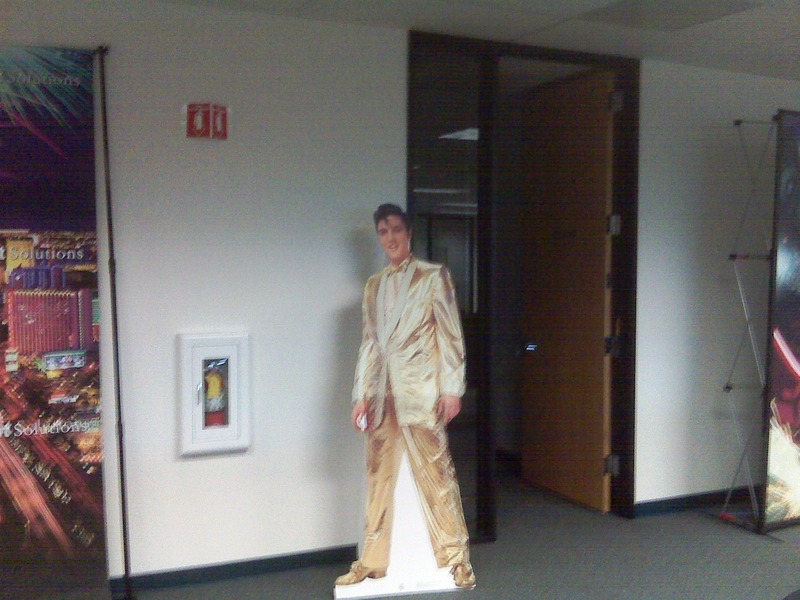 My most recent encounter with Elvis came from an unexpected source. I colored my hair, ably assisted by a friend who did the back. As I sat waiting for the required 25 minutes, I turned on the live CNN feed to watch the miners’ rescue. With minutes left before I needed to rinse the color off my hair, another miner started on the journey to the surface. I couldn’t drag myself away until he was free, so I left the color on for way longer than I should. That was my first mistake. My second was in not being very neat. I had slapped on the color to make sure that I didn’t miss any close to my hairline. You can see where this is going. When I finally emerged from the shower after washing out the color, who was looking back in the mirror? None other than Elvis. I now have rather impressive sideburns that will take several days to fade. UPDATE: Soon after I posted this yesterday, I attended a meeting at a business in San Jose. Guess who was standing outside the breakroom? Yep. He is following me. This entry was posted on October 14, 2010 at 8:50 AM	and is filed under Thought. You can follow any responses to this entry through the RSS 2.0 feed. You can leave a response, or trackback from your own site.